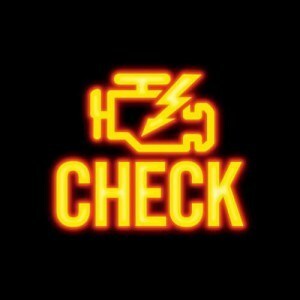 Check Engine Light - What Does It Mean? 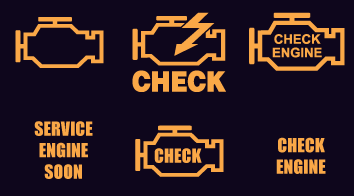 The Check Engine Light (CEL) is an integral part of your vehicle’s Onboard Diagnostics System. The problem is that an illuminated CEL can mean pretty much anything: Your gas cap could be loose or, in a worst case scenario, your engine could be malfunctioning. Really, the CEL is merely an indicator something in or on the vehicle is (most likely) not performing as it should. Once the vehicle’s electronic control system finds a problem it cannot adjust it will illuminate the warning light and store a code in its memory indicating the problem. In 1996 vehicle manufacturers were required to adopt standardized diagnostic trouble codes, and nowadays mechanics can quickly diagnose problems simply by inserting a device into the vehicle that reads these codes (called a ‘Code Reader’). In fact, mechanically inclined readers can even purchase a Code Reader at a hardware store and insert and read the vehicles code themselves. However, there a few things to consider before you purchase a code reader: For example, the problem isn’t always what’s indicated in the code. The code could indicate a faulty battery, when in fact the wires connected to the battery have simply been frayed over time. Purchasing a new battery might also be a good idea, but the CEL likely won’t turn off until the faulty wires are also replaced. In truth, your dealer or mechanic is best suited to fix your CEL. They have invested thousands in equipment to be able to properly service your vehicle and no one knows your vehicle better than a certified mechanic. Best of all, the ODB scan is (likely) covered under your factory warranty, so you won’t pay a cent. Those not covered under warranty will pay $125 at WallceChev, which includes a full scan, diagnostic assessment, and work order. We’ll also fully explain the problem, what caused it and the steps to get you back on the road, safely. Ignoring the problem can also be a bad idea: We frequently see vehicles with repairs that could be avoided had the issue been diagnosed earlier. A healthy car is a happy car! Now that you know how to turn off the CEL… do you know what could cause your Check Engline Light to switch on?